Holy wow, how is it Thursday already? This is a new little segment on the blog, it might be every week, it might not, we shall see! So here’s my find of the week! How adorable is this skater dress?! AX Paris is a brand that i’ve loved for a while now, they’re entire collection is just on point. 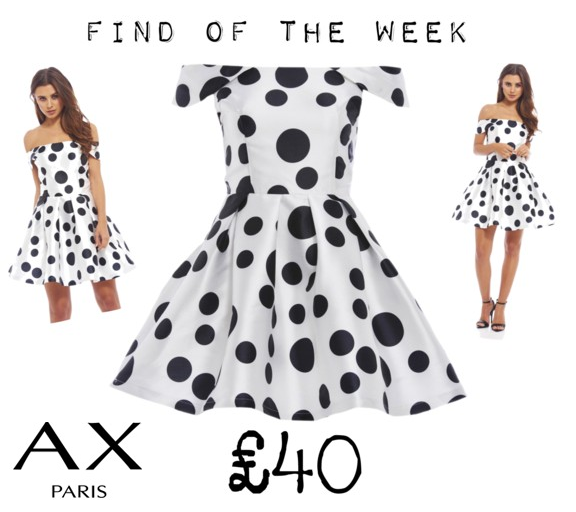 I know that the majority of my wardrobe is monochrome but why not add to something you love?! You all know that i’m one for a skater dress and this off the shoulder one has such a cheeky vibe to it! Deffo a party number!